The 2010-2011 season was very successful again for the club. Once again the biggest local club in terms of playing numbers, fielding 11 teams & also won the Club Championship for the 4th season in a row. We had our U16, U14 & U12 teams winning their respective competitions (very unique) & very good performances from all our other teams. We had 101 players participating in our teams, making us the biggest junior baseball club in CountryNSW area & had 22 of our players selected in the Illawarra representative teams. Cardinals Frog (U8) Maroon Teeball team: Performed very well during the season. Cardinals Rookie (Zooka-U10) Gold team: Ended up 3rd in the Zooka Gala day, excellent result. Cardinals Rookie (Zooka-U10) Maroon team: Used 3 Panthers players every week to fill the team, surprised a few in finishing 2nd in the Zooka Gala day. Cardinals Little League (U12) Gold team: 7th at the end of the rounds. Cardinals U14s Gold team: 3rd at the end of the rounds. After the conclusion of recent Country Championships in BOP the following Cardinals players have been selected in the Country NSW Train-On Squads. The club wishes you all the best for the final team selection. 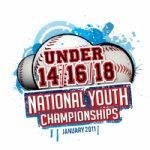 Congratulations to our Cardinals players that have been selected in the Country NSW teams to compete at the National Youth Championships in January 2011 (U16 rescheduled to April 2011 due to washout in Lismore in January). In addition these same players have been chosen in the NSW Junior League All Stars games to be held on Sun 20 Feb 2011 at BOP - this was after their performances for Macarthur in the NSW State Cup competition pre-Xmas.